Pack details: Each pack contains 6 reusable HydroSheets. The sheets measure 46" x 21" and cover a 40 square foot section of wall at a time. 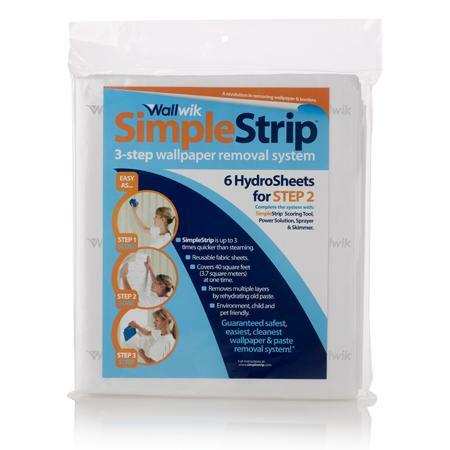 The sheets are reusable up to 50 times, so you can strip one wall, an entire room, or the whole house.